Good teachers, staff listens. Overall a good experience. Good teachers and a secure environment. Excellent pre-school. Caring teachers. Kids really enjoy going to school. 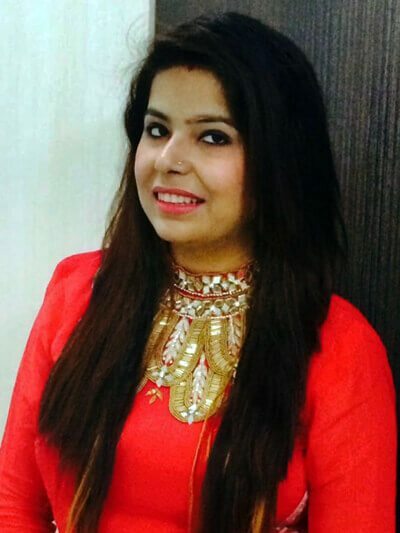 Mrs. Priyanka Sehgal, graduate from Delhi University has rich experience in working with children. She has worked with institutions like G.D.Goenka . Priyanka has also attained master’s degree from IGNOU and has completed her teacher training from CCSU. Priyanka sincerely believes that real education lies way beyond books Success shall come to those who set values with thought and wisdom. Children are the primary focus of all her efforts in her work. Her emphasis is to develop in the children the necessary skills needed for a sound educational foundation and a lifelong love for learning. This can be best achieved with a cooperative relationship between the parents and teachers in which the welfare of children is the main focus. People believes that they have lines in their palm but she affirms that she has lives in her palm – lives of many of innocents’ pupils who are the dreams and charioteers of their family tradition. Education: Master’s Degree from IGNOU, Teacher Training from CCSU. Experience: Worked with institutions G.D.Goenka.